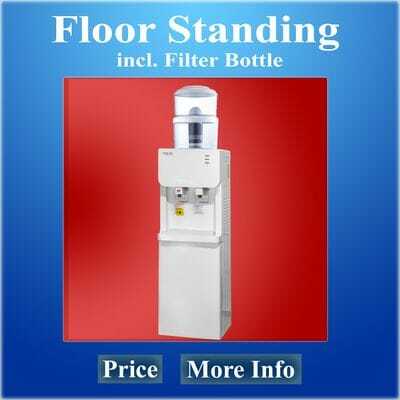 Are you looking for a filtered water cooler in Brisbane, Cairns, Rockhampton or Townsville and don't want to buy bottled water anymore? Healthy, clean drinking water made from your own tap water is the perfect and most economical way to supply your whole family or business. 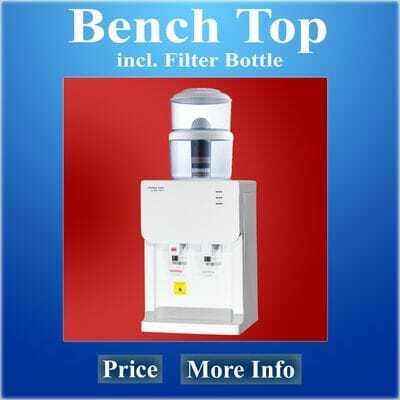 On top of our water coolers is a filtration bottle with a 7-stage cartridge installed. This cartridge will remove chemicals such as chlorine, heavy metals, organic sediments from your tap water and also very important minerals will be added back to the water. Click on one of the images below to find out about our PRICES and how you can own one. All our filtered water coolers will dispense chilled water. If you require hot water (filtered hot water) for all your hot drinks such as coffee and tea simply switch "on" the switch at the back. Instant hot water available. The hot water temperature is 97 C. If you do not need hot water simply switch "off" the hot water on the back and this tap will dispense room temperature water. 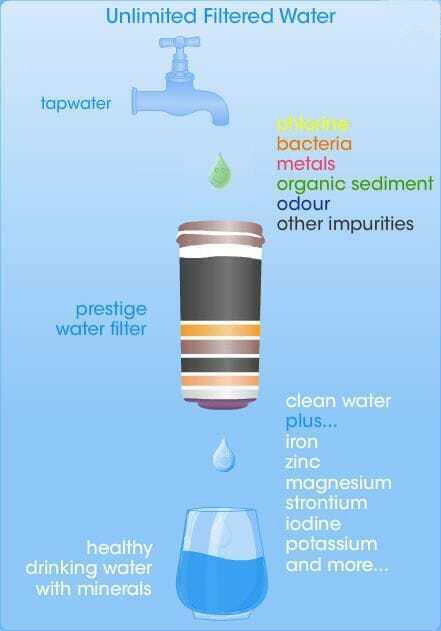 Tap water contains chemicals and you don't want to drink these. 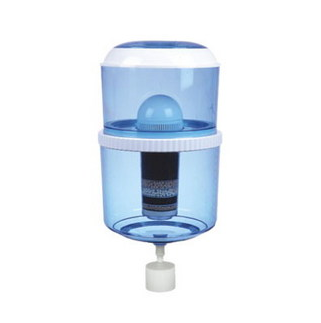 Our filter cartridge will remove these chemicals for you so you can enjoy the benefits of drinking unlimited healthy drinking water FREE from your own tap. To improve the quality and taste our cartridge will add some essential minerals to the water to improve health. This is what our filter does. The primary filter (pre-filter) is located in the dome. 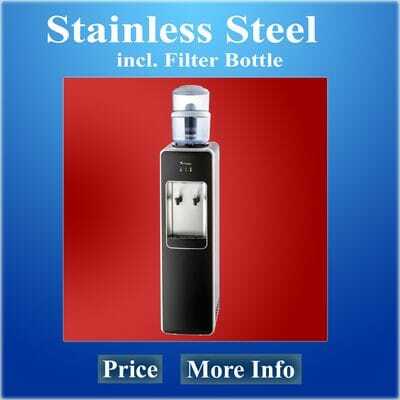 This filter can be removed easily and washed with tap water. The pre filter will remove lager particles such as sediment, rust. You can reuse this pre filter several times till it needs to be replaced. The second stage is a huge section of activated carbon. So why not drink great tasting and UNLIMITED water free from your own tap.